Listening to the pastor’s sermon, I imagined many majestic and spectacular scenes: The dead are brought before the throne one by one to receive God’s judgment, as if criminals are judged by the judge. Some are on their knees begging for mercy; some are weeping and gnashing their teeth. … I realized that the judgment was to punish the evil, reward the good, and determine our ending according to our behavior. 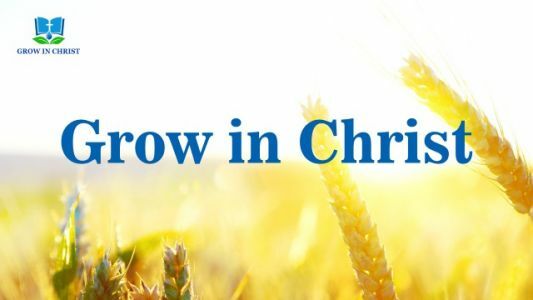 “So as long as I pursue actively and act in accordance with the Lord’s words, I’ll certainly be raptured into the kingdom of heaven and gain the eternal life when the Lord returns.” At the thought of this, I felt cheerful inside. Today, I was very happy because my cousin came to visit me. Since his whole family emigrated, we hadn’t seen each other for two years, so we talked a lot. During our chat, I found that he had much more growth in life than before and that his words had lots of new light which I did not know. Then I shared with him the pastor’s sermon about the judgment of the last days. After hearing my words, he read the prophecies in Revelation, “And I saw another angel fly in the middle of heaven, having the everlasting gospel to preach to them that dwell on the earth, and to every nation, and kindred, and tongue, and people, Saying with a loud voice, Fear God, and give glory to him; for the hour of his judgment is come: and worship him that made heaven, and earth, and the sea, and the fountains of waters” (Revelation 14:6-7). Then he communicated, “These verses tell us clearly, ‘having the everlasting gospel to preach to them that dwell on the earth.’ From this, we can see that when the prophecy ‘for the hour of his judgment is come’ is fulfilled, we still live on the earth, not in heaven; since God’s judgment work of the last days is to judge us humans, of course it is carried out on the earth, not in heaven. 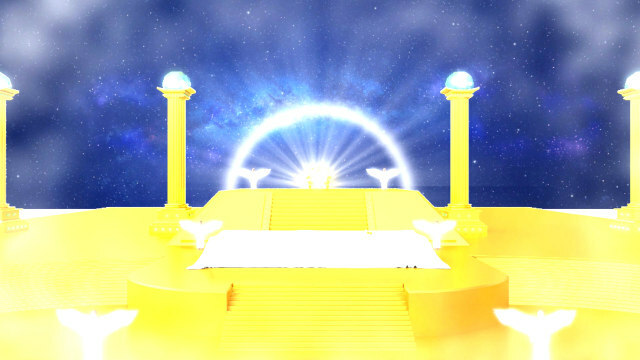 As to the judgment of the great white throne recorded in the Revelation, it is just a vision seen by John on the island of Patmos, and can’t be understood literally because the vision isn’t the fact of God’s work.” After listening to his fellowship, I felt confused: So what really is the judgment of the last days? Although he and the pastor both fellowshiped based on the scriptures, what they said are completely different. Then, whose words are in line with the Lord’s will? For a moment, I couldn’t figure out who is right. So I asked my cousin to fellowship with me more and he agreed to continue the fellowship tomorrow. Before eight o’clock this morning, my cousin came to my house with his wife. Upon seeing them, I impatiently asked my cousin about what the judgment of the last days was. Looking at me with a smile, he said that he once had the same confusion as me. It was not until he read the words of a book that his confusion was resolved. Then he took out the book and read two passages of words to me, “Perhaps there are those who believe in such supernatural imaginings as that, when the last days have arrived, God will erect a big table in the heavens, upon which a white tablecloth will be spread, and then, sitting upon a great throne with all men kneeling on the ground, He will reveal the sins of each man and thereby determine whether they are to ascend to heaven or be sent down to the lake of fire and brimstone. No matter what the imaginings of man, the substance of God’s work cannot be altered. The imaginings of man are nothing but the constructs of man’s thoughts and come from the brain of man, summed up and pieced together from what man has seen and heard. Therefore I say, however brilliant the images conceived, they are still no more than a drawing and are not able to substitute for the plan of God’s work. After all, man has been corrupted by Satan, so how can he then fathom the thoughts of God? Man conceives the work of judgment by God to be particularly fantastic. He believes that since it is God Himself doing the work of judgment, then it must be of the most tremendous scale and incomprehensible to mortals, and it must resound through the heavens and shake the earth; otherwise how could it be the work of judgment by God? He believes that, as this is the work of judgment, then God must be particularly imposing and majestic as He works, and those being judged must be howling with tears and on their knees begging for mercy. Such a scene must be a grand spectacular and be deeply rousing…. Everyone imagines God’s work of judgment to be preternaturally wonderful” (“Christ Does the Work of Judgment With the Truth”). “Because the one who is judged is man, man who is of the flesh and has been corrupted, and it is not the spirit of Satan that is judged directly, the work of judgment is not carried out in the spiritual world, but among man” (“Corrupt Mankind Is More in Need of the Salvation of God Become Flesh”). After his fellowship, my sister-in-law smiled and said, “The Christ of the last days has expressed millions of words to guide and supply us, and to judge and cleanse our sins. Through reading God’s words, we know not only our shortcomings, what we lack, and our rebelliousness, but also God’s holy, righteous and good essence. In God’s words, we confirm that God is the truth, the way, and the life. Brother, I copied a passage of words from a website. Let me read them to you, ‘In undertaking His work of judgment, God does not simply make clear the nature of man with just a few words; He exposes, deals with, and prunes it over the long term. These methods of exposure, dealing, and pruning cannot be substituted with ordinary words, but with the truth that man does not possess at all. Only methods of this kind are deemed judgment; only through judgment of this kind can man be subdued and thoroughly convinced into submission to God, and moreover gain true knowledge of God. What the work of judgment brings about is man’s understanding of the true face of God and the truth about his own rebelliousness. The work of judgment allows man to gain much understanding of the will of God, of the purpose of God’s work, and of the mysteries that are incomprehensible to him. It also allows man to recognize and know his corrupt substance and the roots of his corruption, as well as to discover the ugliness of man. These effects are all brought about by the work of judgment, for the substance of this work is actually the work of opening up the truth, the way, and the life of God to all those who have faith in Him. This work is the work of judgment done by God’” (“Christ Does the Work of Judgment With the Truth”). After hearing their words, I was both shocked and delighted, saying, “After hearing your fellowship, I remember the Lord Jesus said, ‘I have yet many things to say to you, but you cannot bear them now. However, when he, the Spirit of truth, is come, he will guide you into all truth: for he shall not speak of himself; but whatever he shall hear, that shall he speak: and he will show you things to come’ (John 16:12-13). I also remember the little scroll sealed with seven seals prophesied in Revelation 5. Perhaps the scroll is the truth expressed by the returned Lord Jesus. If it is truly the case, I must read these words carefully and thoroughly examine God’s work in the last days.” Hearing this, both of them felt happy for me. Now I have accepted God’s work of the last days for two months. After that fellowship two months ago, my wrong viewpoint was corrected and I no longer defined God’s judgment work based on my conceptions and imaginations but had a completely new knowledge of His judgment work. Every time I think about how my cousin and sister-in-law came back specially to tell me the good news, I feel deeply touched. And I know it was God that used them to preach the gospel of kingdom to me so that I could have the opportunity to accept His new work, which was God’s grace and blessings. I thank God from the bottom of my heart. Amen! By Nick Yang, United States “And I saw a great white throne, and one sitting upon it, from whose face the earth and heaven fled away, and there was no place found for them. And I saw the dead, great and small, standing in the presence of the throne, and.. Does the great white throne judgment mean the Lord will reward the good and punish the wicked, and determine man’s outcome when He comes back? What’s the great white throne judgment prophesied in the Book of Revelation? The answer from God’s word: Though Jesus did much work among man, He only completed the redemption of all mankind and became man’s sin offering, and did not rid man of all his corrupt disposition. Fully saving man from the influence of Satan not only required Jesus to take on.. When I believed in the Lord, I saw the Bible recorded, “For the time is come that judgment must begin at the house of God” (1 Peter 4:17). So, I knew God would judge us mankind in the last days. At that time, I imagined: When God appears publicly in..